Contributor Eleanore Smith of Valencia, Calif., found this photo of the Hotel Lebec in a photo album passed down to her by her aunt Genevieve Smith. Genevieve Smith had moved to East Los Angeles from Chicago sometime between 1915 and 1920. She traveled on the Ridge Route with her friend Lucy. 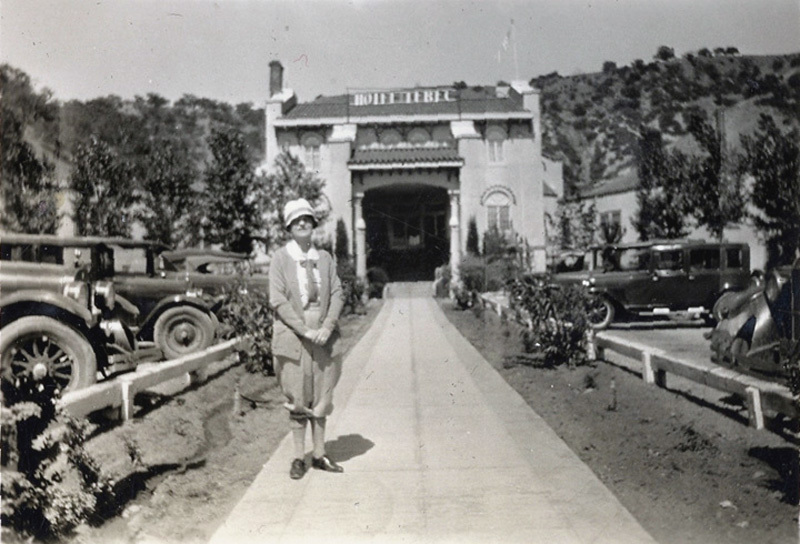 Lucy took this photo of a Mrs. Brown in front of the Hotel Lebec in 1927.